Ah, summer. It can play havoc with your skin. Now, don't get me wrong, I like the added vitamin D and the bronzing that I get from the sun, but the shine on my face during a heat wave? Yeah, not so much. Not only is it annoying when all your makeup slides down your face, but you also end up just looking a bit greasy. Not chic. It's a problem I've often faced, particularly on a Friday night when I'm about to leave the office and all I want to do is head to a beer garden and sit in the sun with an Aperol Spritz in hand. But after dismissing one beauty product for so long, I've finally given into it. And do you know what? It's stopped the shine in its tracks. Oh, and it's a bargain as well. Keep scrolling to find out what it is and why it's so ace. Yes, I'm talking about blotting papers. Now, I know what you're thinking: Isn't this a little old-school? And you'd be right. It's pretty much the beauty equivalent of keeping a tissue up your sleeve (hello, granny). But here's the thing: They're lightweight, they fit in your bag and boy, do they keep your face from looking shiny. Imagine the scene when, during the summer, your friends say, "Hey, it's a great night; let's go drink wine in the sun," but thanks to the hot weather, your face has gone a bit drippy and looks a little like it's melting. And not in a glowing sort of way—in the sweating sort of way. 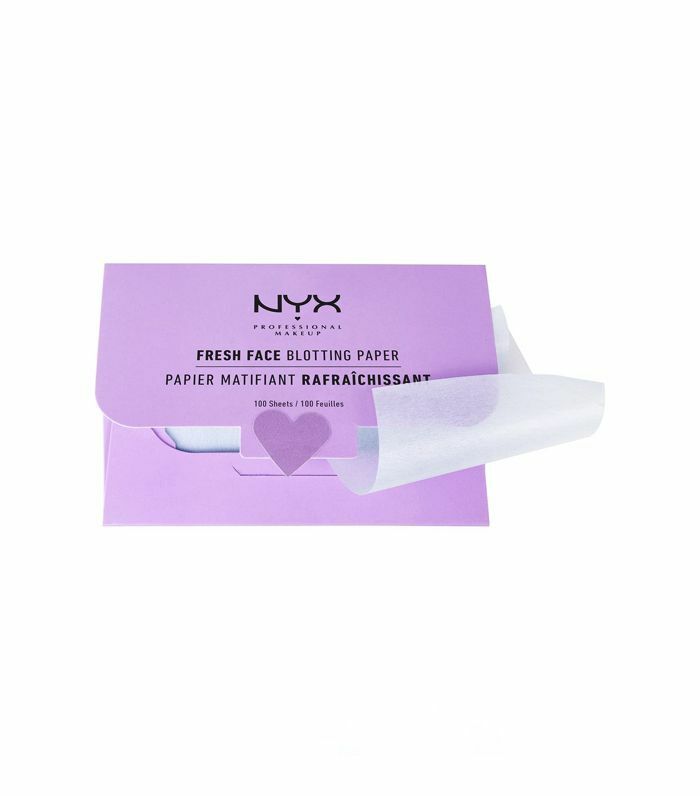 To remedy this situation, grab Nyx Fresh Face Blotting Papers, and lightly dab them over your face (forehead and chin are the problem areas for me) and voila, you have newly matte skin that looks fresh. The best thing about these is that they also contain salicylic acid to help any sebum buildup that can contribute to spots forming. Essentially it's a two-in-one multitasking product that gives you shine-free skin instantly and works on blemishes, too. Want more? Forget Botox: Beauty editors do this treatment first to get glowing skin.